Training a military working dog. Photo attributed to The US Army on flickr. In developing a program for canine warfighters, wouldn’t it make sense for Dr. Davis to study Shepherds, Malinois and Retrievers since they are used most often for military work? But that’s not what he’s doing. For this project, he’s using tax dollars to study Iditarod Alaskan Huskies. According to the United States War Dog Association, the vast majority of United States military working dogs are German and Dutch Shepherds and Belgian Malinois. “For specialized roles, detector dogs in particular, other breeds are used. Retrievers (Labrador, Golden or Chesapeake Bay) are the preferred breeds for One Odor Detector dogs.” The military only uses Huskies for arctic duty pulling sleds. Wouldn’t it make sense for Davis to do research on Shepherds, Malinois and Retrievers since they are actually used most often for military work? But that’s not what he’s doing. For this study, Davis is doing research on Iditarod Alaskan Huskies. The United States Department of State lists 30 countries as dangerous or unstable. Most of these countries have tropical or arid climates. When military dogs would most likely be working in these places, wouldn’t it make sense for Davis to do research in deserts like those found in Arizona, Texas and California, and in tropical places like Puerto Rico, US Virgin Islands and Hawaii? But that’s not what he’s doing. Davis is doing research on Alaskan Huskies who live in Alaska. 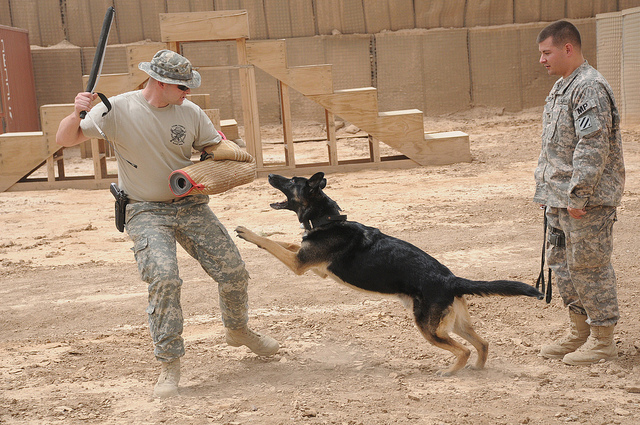 Canine “warfighters” would most often face intense heat, blowing sand, intense sun, high humidity and heavy rain. These climate conditions don’t exist in Alaska. Davis’s research is supposed to develop canine conditioning and monitoring programs for “heat tolerance.” That’s impossible in Alaska. This study is nothing more than a waste of our tax dollars.